We are proud to be the Official Outdoor Movie Screen provider for this amazing movie series. Where: Kasper’s Plaza – 4521 Telegraph Ave.
Free popcorn provided by the Oakland Athletics and Community Bank of the Bay! ​FREE and Open to the public! Bring a Chair / Blanket! 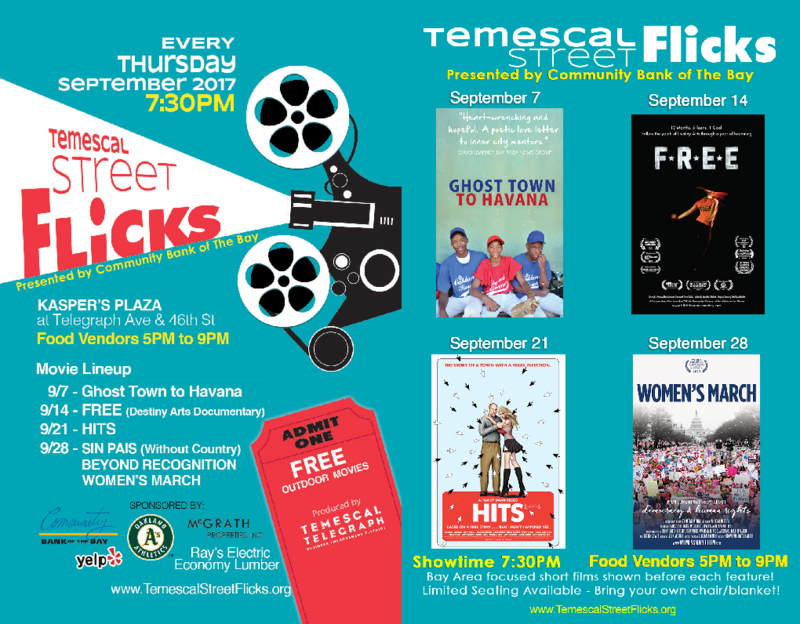 The post Temescal Street Flicks – Free Movie Series appeared first on FunFlicks.